From the creators of Finale, the world's most trusted professional music notation software, PrintMusic is the affordable choice for arrangers, composers, teachers, directors, worship leaders, students, and other musicians who want to share their music with others &dash; and the world. PrintMusic® empowers every musician to quickly create and customize music notation that looks AND sounds great. Once in PrintMusic, notes can be transposed, edited, and arranged, transforming ideas into printed sheet music and PDFs. 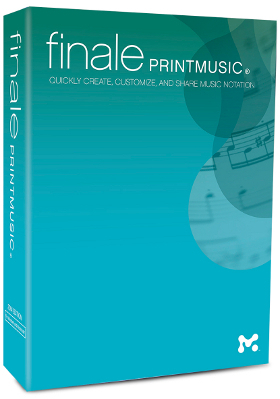 PrintMusic creations can also be shared as MP3 audio, MIDI, and MusicXML files, as well as enjoyed with other MakeMusic products, including the free Finale NotePad®. Finale PrintMusic is only available for download delivery. PowerTracks Pro Audio for Great Savings!